Took the test last month. I really wasn't expecting it so I'm super happy!! General tips for people appearing in 15 easy steps! 1) Study by yourself. The classes and tutors don't really contribute to your preparation. 2) Buy Official Guide 11 and OG Quant/Verbal Review as well. It's worth the money. Also additionally, buy PrincetonReview if you can spare the extra cash. 3) Give yourself a clear 2-3 months, depending on how prepared you feel academically. 5) Start off your prep with PrincetonReview. 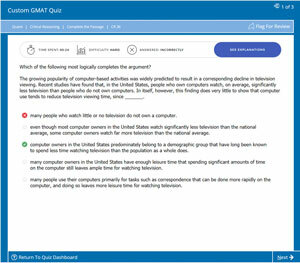 The 2007 edition has only 200 questions and 4 online tests. Read their tips and tricks. It shouldn't take you more than 3-4 days to go through the theory in the book. And besides, imo it's written really well, from a complete beginners point of view. 6) Take the PrincetonReview diagnostic written test, as well as the OG11 diagnostic written test. 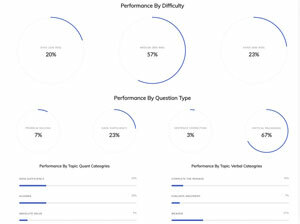 Note down your scores/accuracy percentages and time taken. 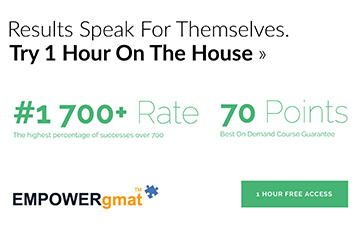 a) Spend the next 3 weeks only solving questions from OG 11 and OG Verbal & Quant Review. 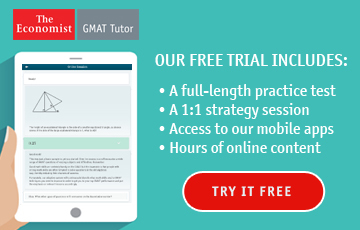 Steadily increase your time at the desk- the actual GMAT is 4 hours (with 2 ten minute breaks) so you need to have the stamina. 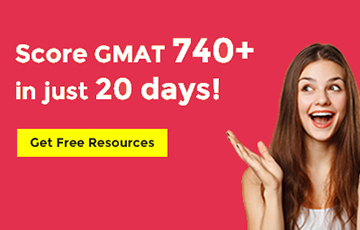 Start off with 20 questions at a time, in 30 mins, and gradually move up to solving an average of 45-50 questions in 75-80 mins. All 3 OGs have questions in order of difficulty, so your later questions will be slower and harder. Then ANALYZE, ANALYZE, ANALYZE. b) Also, intermittently, solve questions from PrincetonReview, since there're only 200, finish it off in 2-3 sittings. c) FLASHCARDS!!!!! They are the ONE thing that truly helped me get through this- MAKE FLASHCARDS from little mistakes and errors you made along the way. Even if it's something silly, note it down. Review your flashcards EVERYDAY before you start studying. Start reading stuff online. 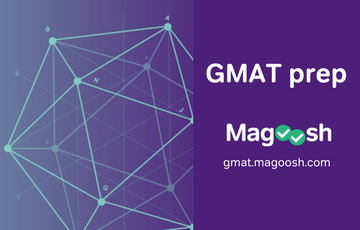 Forums (such as PG, gmatclub, beatthegmat, etc etc) collect useful tools, programs and guides. And start creating your own stuff. 10) Continue solving OG 11, Quant/Verbal Reviews until they are over. 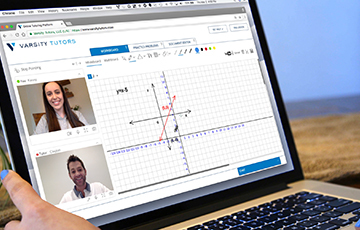 If they're over well before your test, start solving them again. They are TRULY like the real thing. 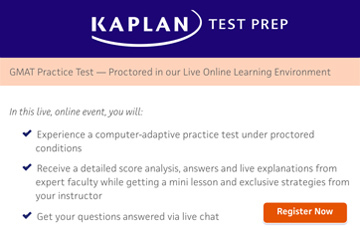 Kaplan and Princeton are nowhere close. 11) Keep calm. You may be disappointed with some mock test scores, but that doesn't matter. I didn't touch 700 (or even come close) in any of my earlier mocks. So you see, the mocks don't matter as much. 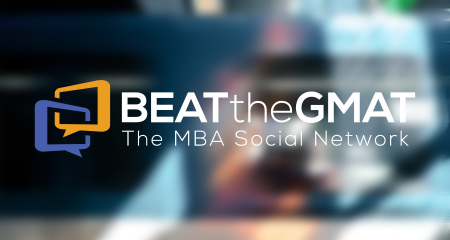 12) In the week before you GMAT, stop studying. Give 2-3 practice tests MAX, and solve a little bit everyday. Gradually taper off till the last day. the last 2 days, do NOT do anything (esp. take a mock). 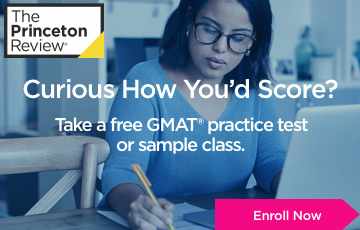 I read a really good analogy in PrincetonReview about this- taking a mock 1 or 2 days before the real GMAT is like a marathon runner running 20km the day before the marathon!!. 13) On the last day, just CHILL. Watch some TV, go for a movie. Play some football. If you have a significant other, enjoy some alone time. Basically don't think about the test. Keep your documents ready, and figure out the 5 colleges you want to send your scores to. 14) On the test day- get there early, carry chocolates/biscuits, whatever to eat in the break. Make yourself pee before the test and in every break. And while TAKING the test- C H I L L. Don't try judging how you're doing or what your score will be like (I thought I was getting a 670!). If you don't know an answer, guess and move on. Forget about it and concentrate on the next. Whew, that's all I have to say about that. Sorry for the long post- but be thankful- I summarized!!! It could've been longer! Now on to the HARD part! The essays, interviews and letters of reco! Fantastic work, wildrebel! Best of luck! I find your post motivational. 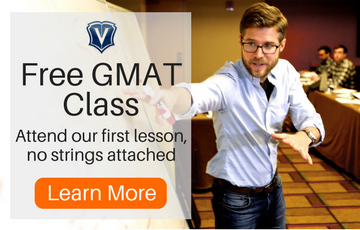 I especially like how you evolved into a GMAT whiz based on a well-developed plan. 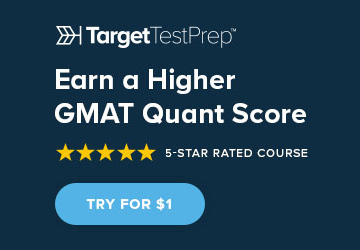 You started with a 440 and turned your score into a 710. Amazing! 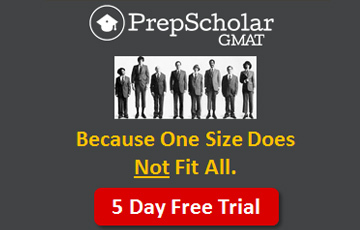 I took a PR class & was told that a gain similar to that of yours is not likely. It's nice to see that it can be done. I like your strategy. I have a similar strategy and I've given myself 5 months. Be sure to let us know what schools you plan on applying to. To be fair, my zero-day-test score was closer to 620 than 440. Like I mentioned in my post, I had just received the results of another exam and I was quite upset and tired. Not the best frame of mind for a 4 hr exam. That's why I got a 440. 2 months later, when I was in a much more peaceful state of mind, I achieved a 620, without any preparation. Either way, always remember that your actual score will always operate within a range. Your performance within that range will be affected by other factors like your state of mind (nervous, calm, excited, angry), your physical state (too cold, too hot, really have to pee, etc) and even something as silly as the guy next to you farting. If you feel you took a test (mock or actual) where you hit the bottom of your range- then don't hesitate to retake. I will be attending the Full Time Texas MBA at the McCombs School of Business - The University of Texas, this fall. Nice! I think that is a very solid score. I am myself planning on starting McCombs MBA program--but the one in Houston. Make sure you go to at least a couple of their info sessions, you will get some good insight to their selection process. Do you have any advice on how to get an edge on the Mccombs application process? I am planning on applying for Fall 2009.